All creative expression comes from the One source. The blessed gift of being creative is my experience of “flow,” when time stops and joy is a stream burbling through me. My art shares my vision of the physical, emotional, and energetic textures of the natural world and internal experience. My work explores the relationship between nature, soul and humanity, and how the threads of this dynamic relationship impact emotion, personal awareness, and the experience of beauty as the soul is nourished. All speak to me of that communion which is the essence of Being and the nurturance of soul. I experience profound communion with nature, with Creation, with my own deepest self, and with G-d through the birthing of each piece. Poems often emerge to join the artwork, sometimes even preceding and inspiring the piece. My use of technique is defined by the needs of a given piece. I love the exploration of technique to “voice” the piece as it wishes to be “heard” and felt. 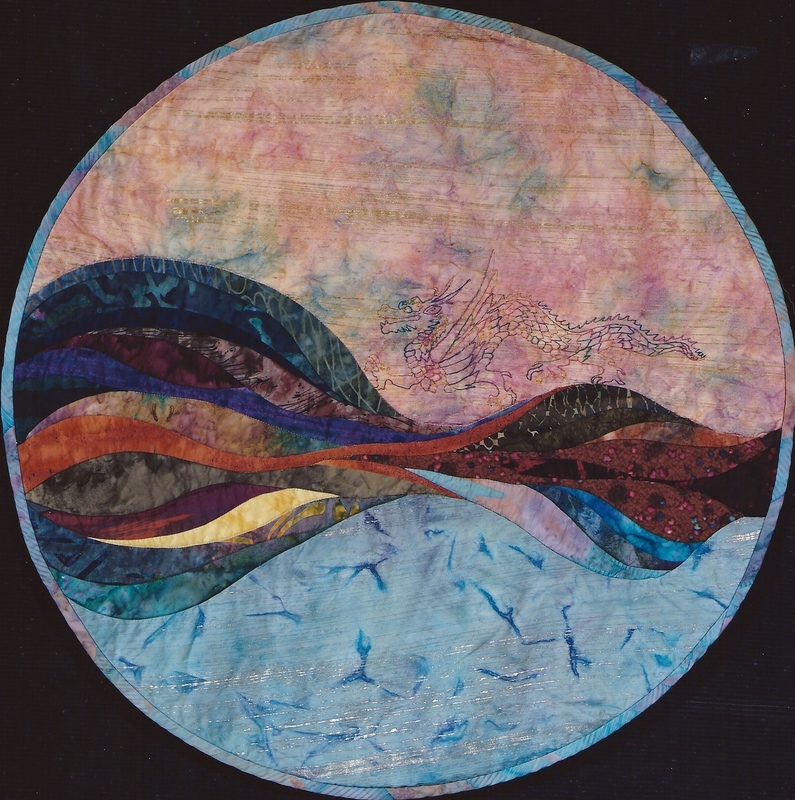 This entry was posted in Art, Fiber Art and tagged Art, Art Galleries, Art Shows, Artist Statement, Fiber Art, Gallery Showings, Gifts, Meaning in Art, Quilting, Quilts, Stephanie Nead, Stephanie's Creations, Textiles. Bookmark the permalink. ← “Abraham’s Children” Original Textile Art Prints, the perfect gift for this season of Peace.